A Billion Civilians: Pavol "Nice" Demitra: is there any hope in the loss of an entire sports team? 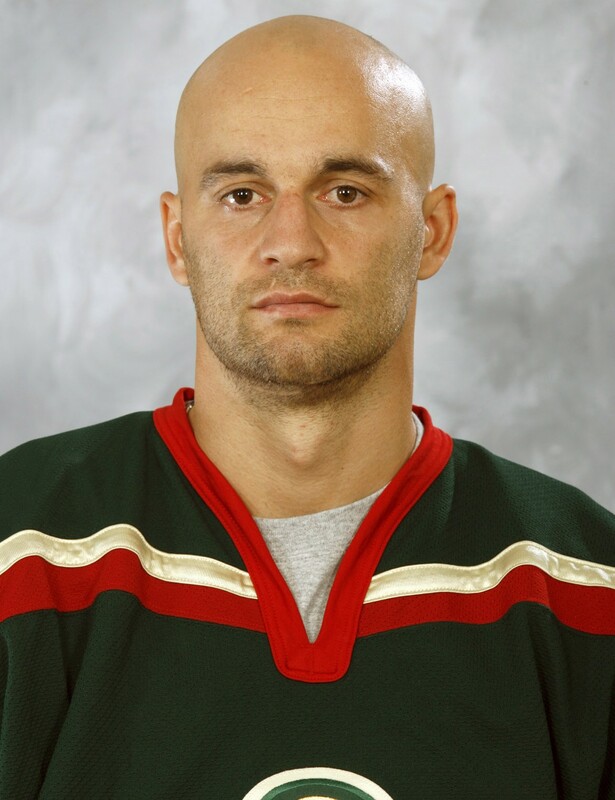 Pavol "Nice" Demitra: is there any hope in the loss of an entire sports team? It's overwhelming. If the KHL doesn't matter to people, could we imagine the Boston Red Sox just dying like that? The effect that it would have on the families and the fans? The void it would leave? The questions we would all have? Why? How? I've always loved hockey. Anytime, anywhere. Growing up we would play a lot of street hockey. I always wanted to play more than everyone else and, yes, at times I would actually play by myself. I would get the goalie gear on and 'flick' the tennis ball at myself and try to make some sort of elaborate save. My brother bugs me about this all the time, but I am proud of my commitment, dang it! Growing up I loved the Oilers but I was also a big St. Louis Blues fan. The reason for this is Brett Hull. Besides sharing a name, we got a long great. He scored a tonne of goals and I watched him from the other side of the TV. His book, 'Brett Hull: Shooting and Smiling' was one of the first books that I read that didn't have any pictures in it. It was also a hard cover. Mom would help me read it and I would use a ruler to keep my eyes on the line I was reading. Brett Hull scored 86 goals one year. That was quite a feat. He got together with Adam Oates to form the 'Hull and Oates' duo that ripped apart the league for a good number of years. So it was a sad day when The Blues traded Oates away to Boston for Craig Janney. Janney was good, but not 'Adam Oates' good. Brett Hull's number started to decline and the excitement surrounding him and the Blues faded with each early playoff exit. Eventually, Hull left St. Louis and won a Stanley Cup with the Dallas Stars after scoring a very controversial goal. Around the time Hull left, and myself and other Blues fans were wondering who would step up for the team, the Blues traded Christer Olsson to Ottawa for a young Slovakian named Pavol Demitra. Almost immediately, Demitra became a star. During his second season with the team, Demitra was the leading scorer. A few years later he won the Lady Byng Trophy for being voted the most sportsmanlike player in the league. It's one of the trophies that Gretzky used to always win. A few years later he finished 6th in league scoring. After the NHL lockout, he signed with the Kings. Demitra finished his time in St.Louis with 493 points in 494 games. Demitra was my favorite post-Hull Blue. Besides the fact that he was my Slovakian twin, he was also an amazing hockey player. I had hope that he would finally take the team deep into the playoffs. That never happened and since the time that he had left St. Louis the Blues have been pretty mediocre. When Pavol was 17 years old, the USSR's strangle hold on his country finally let up. In an interview he talked about how strange that was to finally be able to watch NHL hockey on TV. He started to believe that his dream of playing in the best league in the world could be a possibility. A few years later, he began what would turn out to be quite an amazing career. I had heard that he wasn't coming back to North America this season, that he had signed in the KHL. When his plane went down last week and I found out that he was on it, I couldn't believe that he was really gone. The tragedy of an entire hockey team being killed all at once is magnified when you grew up following one of the players so closely. I think that often times I am not interested in a tragic news event unless I am somehow connected to it. I used to feel guilty about it. Like how North Americans followed the New Orleans flooding event so closely because it literally 'hit close to home', yet when I was in Hawaii this past year and a massive earthquake took place near my home in China, not many people in Hawaii, at an international missionary school, even knew it took place. People had died, people I knew, and nobody seemed to care. I heard someone say that this is why we love our hometown. This is why we will always feel strongly connected to things that are familiar. Because it is our responsibility to care about what is close to us. Whether it is a place or people or even a Slovakian hockey player, we are put in a certain situation and we are told to take care of it. We have a responsibility. So, when there is an earthquake in China and nobody knows, at least I know and can tell people about it so that they will know. On top of that, you can be sure that there were a lot of people here in China that cared a lot about the people in the quake. They were taking care of what they were given. So, when a hockey team dies in an instant, I take part in the responsibility in remembering and praying for him and his family. I cried for the guy. This is a strange thing, when someone you never met nor thought about for a long time dies. Suddenly they become dear to you. When I think about Pavol and his wife, Maja, the news that they lost a son (Tobias) in his infancy, it is all very heartbreaking knowing that his other two children, Lucas and Zara, are left without their hero of a dad. And for Maja, besides with her own health problems, the pain of losing a child and then sticking together through it all, only to have the one you stuck close to be taken away as well. There is nothing good about a plane crash, No, "God is in control" kind of talk can convince me that this is a good thing or that I should feel okay with it. Yet, despite all of the horror, there is always hope. I don't know what Demitra's personal beliefs were, but there is always hope for us. In believing that God never gives up on his creation I can know that there is hope for Pavol. There is hope that he and Tobias are reunited, or someday will be. It would be a much more sorrowful situation if I had to say that there is no hope. That God has given up. That once you die and don't know about God, that his love for you is distinguished, like a candle. I used to believe this kind of thing because it seemed to be what everyone else believed. Then I remembered the stories. The stories Jesus used to try to tell the people about his Father's love. The stories of the coins and the sheep. The lost son. The father never giving up on his son, the Shepherd leaving the rest of the sheep to venture off to seek and find that stupid, confused, 'free willed' little lamb. I started to make a little more sense of the whole thing. I will always love my 2 boys, how much more does God love every one of his children? Every tear will be wiped away. Every sorrow a distant memory. I'm not sure how it all works, but I believe in hope. That there is hope for everyone and that that hope never burns out. So when I picture Pavol growing up playing hockey, following his dreams, falling in love, raising children, and being a gentleman about it, I think that it would be my prayer that this guy would one day know the lover and creator of it all. The way he passed the puck was a beautiful, God-given gift. Someday, because of a loving God, the grief and misery of death will lose it's sting when the lost are found.